Despite the high cost of healthcare in the US, numerous forces are converging to put pressure on hospital margins; 30% of hospitals are losing money. Some forces like policy, payer mix and workforce changes, are out of the control of the hospital, but others can be addressed. 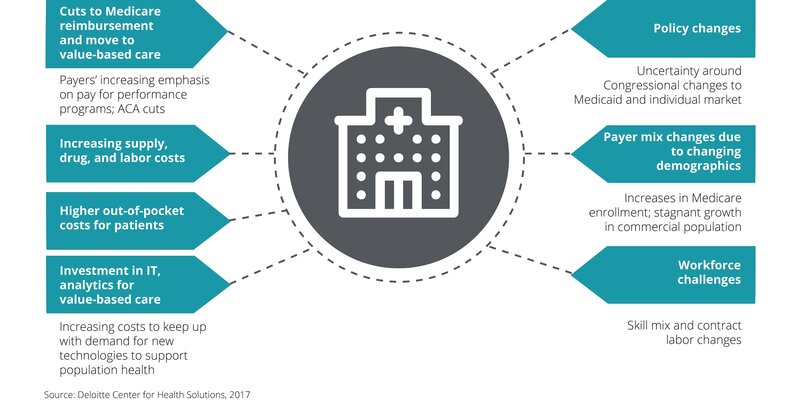 In particular, revenue cycle management innovations can be implemented alongside strategic investments in various technological solutions that allow hospitals to operate more efficiently and deliver upon the demand for value-based care. Investment in new technologies to effectively manage population health and improve patient engagement and outcomes is a smart first step.